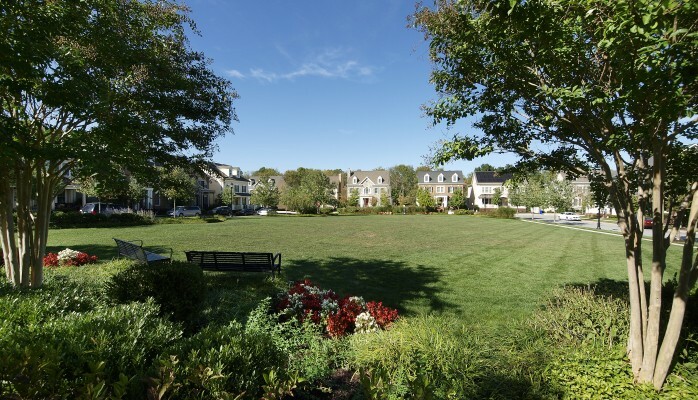 Maple Lawn offers five distinctive neighborhoods – each with its own charm and plenty of public open space. 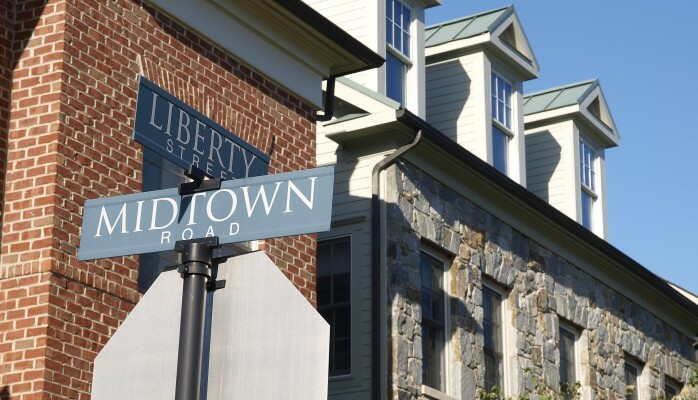 Midtown District is our founding neighborhood with 351 units and includes a combination of estate homes, park side townhomes, single family manors and 144 condominium units. In the Midtown District, you will find the focal point of Maple Lawn, the 14,000 sq. ft. Community Center which houses a fitness room, kids lounge, exercise and yoga room, library, large banquet hall, administrative offices and conference rooms. The Midtown District also has several parks, open green spaces and the Community’s swimming pool. Hillside District features 309 elegantly designed townhomes intermingled with 92 single family homes and 40 condominiums. Here, you will find streets lined with homes that have porches and porticos accompanied with well thought out landscape designs. All of the townhomes have a two-car garage and common area gathering places for families to enjoy. Midtown West offers 166 single family detached homes. This district offers beautiful classic single family designs with open floor plans. 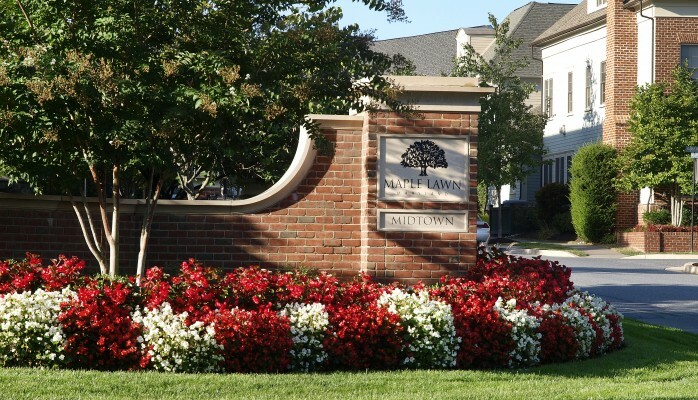 Midtown West is close to the Community Center, parks and within easy walking distance to shops and retail stores. Westside District is centrally located within the Commercial District of Maple Lawn, and is the closest to shopping and dining choices. Considering working in Maple Lawn? The Westside District is the place to be if you want to have the shortest walking commute. Adjacent to the office buildings and retail centers, Westside District touts 198 townhomes that will give you the “city life” feel in the suburbs. Garden District provides for 152 single family residential homes including 24 Estate Lots, 24 Villa Fronts, which back up to open space, with remaining lots Cottages and Manors. Here, you’ll also find two large, active open spaces as well as an area for community gardening.